A trust is a legal entity that is used to help a person distribute his property and financial assets to their loved ones after their death. The trust is a document that will determine how, what, and when the asset or assets will be distributed to all the beneficiaries. Because a trust is a legal process, it must follow state laws to be valid. Seeking the help of an estate planning lawyer that knows those laws would be the right course of action. An estate planning lawyer from Sweeney Legal, LLC can help you set up a trust that ensures your life’s work remains in your family. 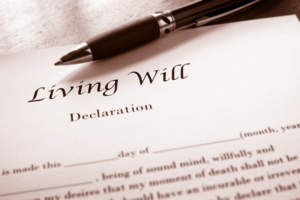 We extensive legal experience in drafting wills, setting up trusts, and estate planning. Protecting your assets is our priority. Selecting your beneficiaries. A beneficiary is the person who will receive the assets that you place in the trust. They are the primary people who will benefit from this trust. Upon the death of the person who sets up the trust, ownership of the assets will go immediately to the beneficiary unless the trust is set up with different provisions. For example, if the beneficiary is young, the trust may have a provision that they do not have control of the assets until they reach a certain age. Selecting a trustee. A trustee controls and manages the trust. This is a person whom you trust with your assets. They will hold all legal titles and will make sure that your plans for distribution are being carried out. They are bound by the conditions set by the trust and they can not deviate from the trust. You can place restrictions and limit the trustee’s power, meaning that while the trustee manages the assets, they cannot sell or give away if it is not set forth by the trust. Funding the trust. The funding of a trust comes from all the assets you’d like to distribute at your death. Contents of the trust can include financial accounts, real estate, or any financial asset. All of these assets will become the trust estate which contains all of the money that will be distributed to the beneficiary. Sweeney Legal, LLC can counsel you on establishing the trust. We are experts in probate and estate planning. We help you explore all options to find a trust that suits the financial needs of your family. Each estate planning lawyer in Fairfield County, CT from our firm has vast experience in their field and they understand the importance of protecting your assets and the life of your family. It’s hard to think of a time when you are not here but seeking the help of a trust attorney can help you ensure that your beneficiaries are well taken care of. Call Sweeney Legal, LLC for a free consultation. Get help in Fairfield County, CT.